A documentary chronicling Vogue editor-in-chief Anna Wintour's preparations for the 2007 fall-fashion issue. A look at the life of legendary fashion designer Valentino. A feature documentary on the life and career of designer Zac Posen. Documentary film takes a look at some of the world's most influential fashion images as conceived by the magazine's iconic fashion editors. Profile of British fashion designer Alexander McQueen. An intimate portrait of Franca Sozzani, the legendary editor-in-chief of Italian Vogue. 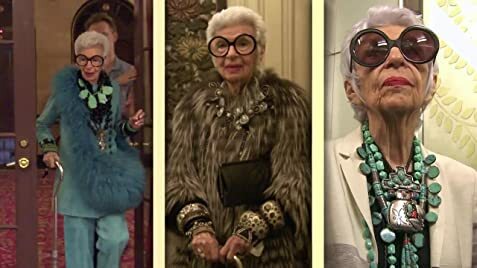 Iris is a great documentary, particularly if you have a passion for fashion. Iris Apfel is a 94-year-old woman who embraces her unique eye for fashion and style. She takes the simplest things from shops and stores all over town and dresses them up in a variety of ways. She accessorizes her clothing by accenting them with very large and unique pieces of jewelry. Large pearl necklaces with big, bright colorful bracelets are only a few items that Iris uses. She believes each outfit needs to have color and sometimes lots of it. A lot of designers and fashion icons love her style and creativity. The message of this documentary, produced by veteran documentarian Albert Maysles, is "success is a sacrifice." Iris talks about how she always wanted to have kids, travel and have a successful career. She realized that she could not have it all and be successful. She did not want her kids to be raised by someone else. So, she chose to purse her career and travel the world with her husband, Carl Apfel. Although Iris did not have kids as she once hoped, she still feels successful and that her life has made a positive impact in the fashion industry. 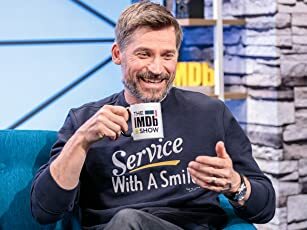 Iris is very witty, funny and inspirational. Even in her 90s, she continues to educate young aspiring fashion designers. She believes it will be a lost art if people do not learn the history of fashion and its origin. 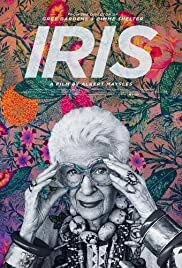 The film Iris is a wonderful documentary. It is perfect for girls and boys ages 13 to 18-years-old who aspire to learn more about the fashion industry. Even if you are not in the industry and want to watch a good film about a wise woman who continues to inspire others, this film is a perfect selection. Iris will be released in select theaters April 29, 2015. I give this movie 4 out of 5 shining stars. Reviewed by Kendyl P., KIDS FIRST! Film Critic. For more reviews by youth, go to kidsfirst dot org.